Cervical smears - these are carried out by the practice nurses and some of the doctors. A three yearly reminder system is in operation and all female patients between the ages of 25 – 60 are automatically included, any patient wishing to ‘opt-out’ should contact the surgery. Patients should make an appointment when they receive the reminder, letting the member of staff know it is for a cervical smear. Contraceptive Services - a contraceptive service is available, including the fitting of coils and implants. Please make a routine appointment with any doctor for an initial discussion. 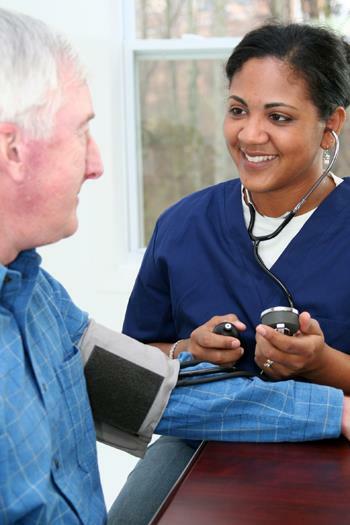 Chronic Disease Management Clinics – are practice nurse- led, and are for the regular review of Asthma, Diabetes, Chronic Chest Disease, Cardio Vascular Disease and Stroke/TIA patients. Please make an appointment for review in the month of your birthday. Health Checks - patients between the age of 16 and 75 can have a health check if they have not been seen for the previous three years. Minor Surgery – some of the doctors carry out minor surgery procedures. Please make a routine appointment with any doctor to discuss. Childhood Vaccinations and Immunisations - clinics for childhood immunisations are held on Wednesday morning by practice nurses. Relevant patients should receive a letter through the post from the Health Board, advising when an appointment should be made at the clinic. Other/Travel vaccinations – additional service made available through the practice nurses. Patients should note that not all vaccinations required for travel are available on the NHS and in some cases a charge may be made. Vaccinations required by students for a particular course may attract a fee. We do not offer an occupational vaccination service. Child Health Checks - A doctor will carry out a 6-8 week check for mother and baby, further child health checks are carried out by the health visitor on the day the child is due its routine immunisations. Health Visitors can be contacted on 01349 868520. Antenatal care - provided by the Community Midwives and hospital, with support from GP's. If you are pregnant please make an appointment with the Community Midwives by phoning 01349 864571. Urinary Symptoms in Women ages 16-65 - please Click Here for information on what to do if you think you have a urine infection. Treatment of Impetigo - Under the Pharmacy First Service, a number of local pharmacies now offer an assessment and treatment for Impetigo, without necessarily needing to see a doctor first. Pharmacies can now directly issue a prescription if it is thought to be appropriate. We hope this new service will provide a convenient and efficient way to deal with your symptoms.